National Apprenticeship Week celebrates the success of apprenticeships and looks to encourage more people to consider taking the apprenticeship route. Read are proud of our apprentice intake scheme, with people development and retention of individuals being a key business priority. As a business, we have enrolled apprentices year on year for over 10 years. 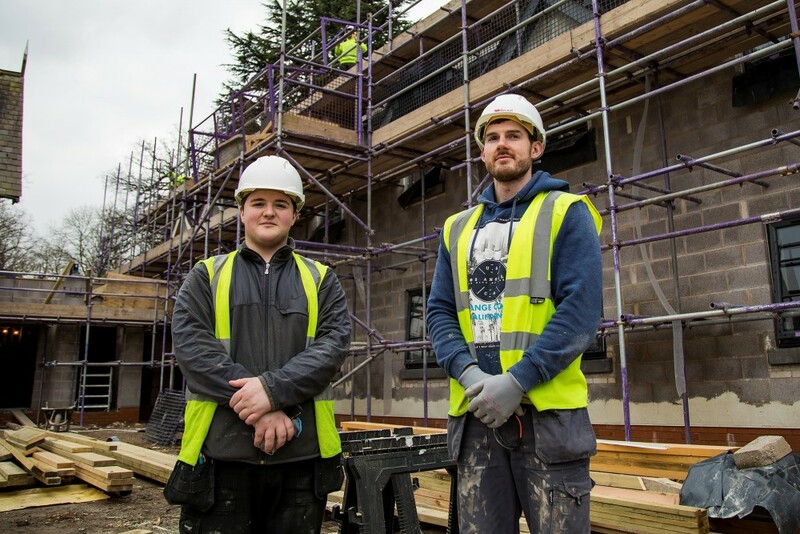 We spoke to one of our apprentices, Eifion, who joined Read last year, about his apprenticeship so far. My role covers a range of tasks, which differ day to day, site to site. It involves tasks such as fixing roof joists, stud walls, skirting and general joinery. Currently I work for Read 4 days a week gaining site experience and skills, and attend Coleg Cambria 1 day a week. I enjoy getting to work with a range of people, both from Read Construction and the supply chain. Site experience combined with my college course is developing my joinery skills. You need lots of transferable skills for my role. You need to be good at maths as there is a lot of measuring and accuracy involved. You also need to have good communication skills, as you will have to work with a lot of different people from a range of backgrounds. I hope to have gained more skills and become a fully qualified joiner. My Grandfather was a joiner too, so I am following in his footsteps. I would love to begin to be progressing into a higher role in the construction industry. It’s a great industry to get into. There is a wide variety of skills you can develop in the industry, and a chance to progress into different job roles. We accept expressions of interest for trade apprenticeships from March. To find out more, contact us at careers@readconstruction.co.uk.